Fully Submersible – Fully submersible construction equivalent to IPX7 for 1m depth for up to 30 minutes. Built-in Class D DSC – The DSC watch function enables you to monitor Ch.70 (DSC channel), even while you are receiving on another channel. DSC functions include: distress, individual, group, all ships, urgency, safety, position request/report, polling request and DSC test calls. Vibrates to Remove Water from the Speaker – The RCA MRM400 comes standard with a new technology that helps clears water from the speaker. This vibrating function emits a vibrating beep that helps remove water, which can muffle the sound coming from the speaker, from the speaker housing. Small and Light – The MRM400 has a very compact and lightweight design yet delivering full 25 watts of power. 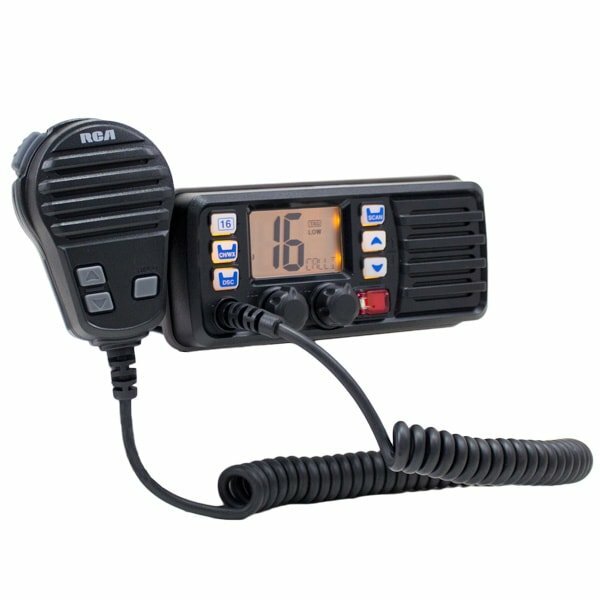 GPS Receiver Capable – This mounted VHF marine radio comes with Common NMEA Interface build in, providing a capability to connect an optional GPS receiver using the NMEA 0183 connectivity. 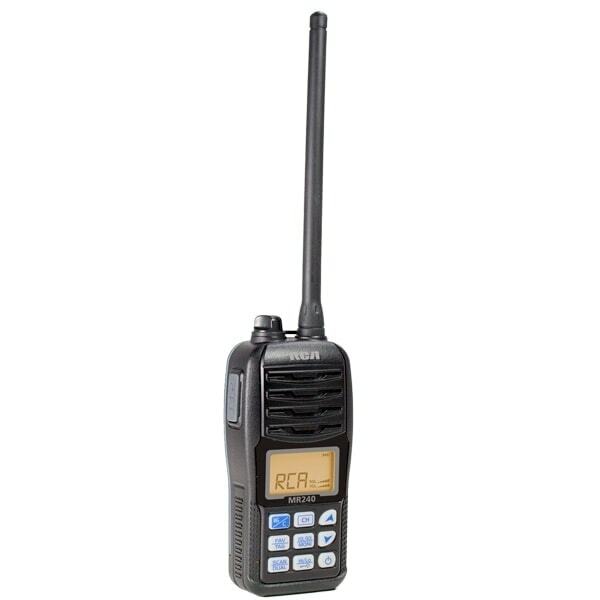 The optional GPS receiver will enable your radio to show your current position and time and can be used for DSC calls. Easy to see large LCD – The large, easy to see LCD (32 × 26 mm) offers large and clear 2-digit channel number indication. Dual / Tri-Watch Function – Allows you to monitors Channel 16 and / or a call channel while you are receiving on another channel. Volume loud and mute functions – The volume loud/mute functions temporarily change the volume to the maximum/minimum level with two touches of a button. Depending on the background noise level, you can easily change the volume level to capture the received message. Industry Leading Warranty – Backed by a Three (3) Year Warranty.